What makes Lutter Marketing unique? With twenty years of market research experience, Lutter Marketing knows how and why to ask the questions you need answered. Lutter Marketing works with a wonderful team of research associates, focus group facility coordinators, recruiters and transcriptionists. We also collaborate with quantitative research firms to provide full market research needs. 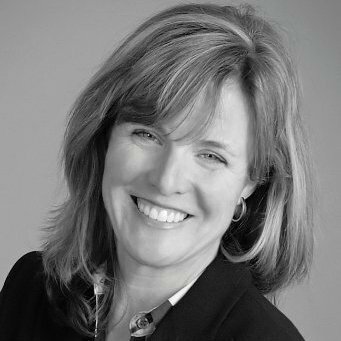 Wendy Lutter, Lutter Marketing principal, started the firm in 1998 after being behind the one-way mirror on the client side at Children’s Hospitals and Qwest, managing all aspects of market research. She realized what she really liked doing was moderating and interviewing. Wendy is a certified focus group moderator with training from RIVA Institute in Washington D.C. and has moderated over 700 focus groups, conducted over 2000 one-on-one interviews and managed countless research projects. She has taught seminars in qualitative market research design. Wendy received her BA from Smith College and a MBA with Marketing Specialization from the University of Denver. At The University of Denver, she received the Daniels’ Award of Excellence as the Most Outstanding Graduate. Wendy is the Chair of the Board of Directors at Fraser, the head of the scholarship committee for the Central High School Foundation and volunteers for Smith College. Wendy lives in St. Paul with her husband and two teenagers. She loves to travel, bike, ski, cook and eat good food. In the summer, she can also be found teaching Paddle Boarding in the evenings on Lake Nokomis.